Today is the day we would normally post a Member Spotlight...but how could I choose just one person when the gallery is hopping with amazing art? Selfishly, I decided to show you what PennyS, howdee and dismommy came up with for the Decor Challenge. 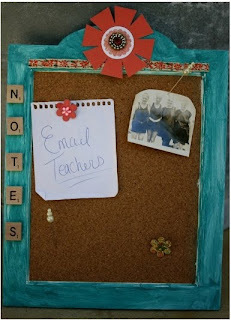 I am completely enthralled by their collective re-purposing--complete inspiration!! howdee came up with this fabulous use for an SC paper bag. View it in the gallery here. If this doesn't inspire you to make use of those bags, I don't know what will! dismommy really came up with some smart finds to put together this fabulous note board. I love how bright, happy and useful it is. The re-purposed scrabble tiles are the best! See her notes & comment on this project here. PennyS posted this beauty and I found myself wanting to break out the glue gun and make flowers! 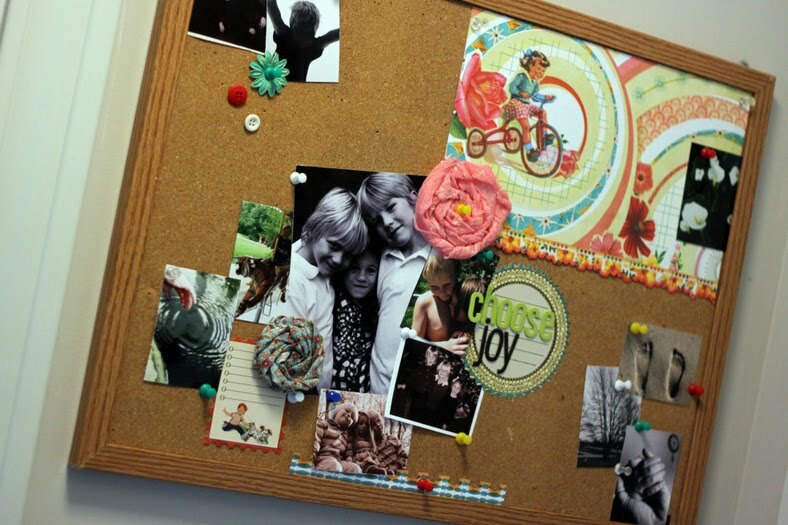 I love that her board will be inspirational to her family on a daily basis. Clever!! Give her some props in the gallery here. Kudos to all three of you for taking the challenge & re-purposing 'junk' into useful treasures! If you'd like to participate in the challenge, there's still time. Remember, it doesn't have to take you days--quick and easy can have great results! Happy Friday! Oh My! Just saw this! YAY! I have had that cork board FOREVER.... years and year! 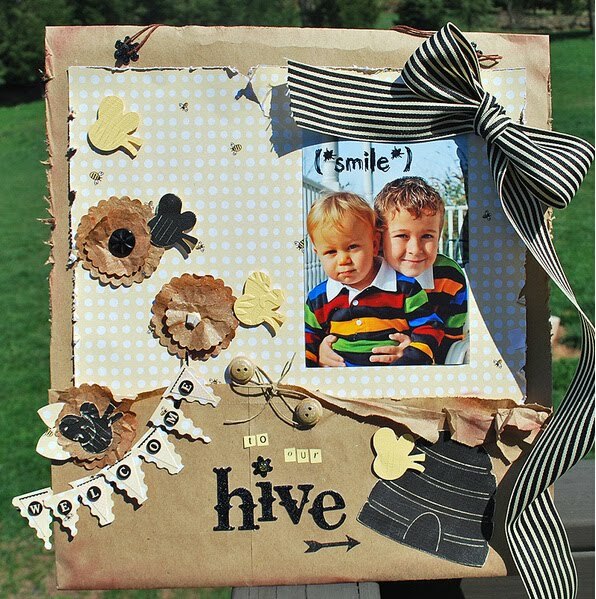 Thanks for sharin' my challenge entry on the blog! Fun!